The World Government Summit Organization was pleased to present the GovHack event in Berlin. The GovHack Series is an international competition that sets out to identify how technology can help governments solve challenges, with the ultimate goal of benefiting their citizens. The event was held in partnership with the GovTech Prize to present a unique opportunity for patrons and guests to be part of a global journey of innovation. The Berlin event covered the theme of ‘Future and Progress’, and the day featured presentations by innovators, panel discussions by industry experts, closed-door roundtables, start-up pitches and an award ceremony. Our team wants to thank everyone! and we had an amazing time at the event. 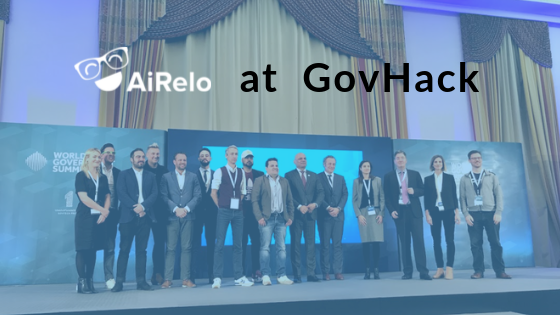 Mario Paladini Founder & CEO at GLOBALS had the opportunity to pitch AiRelo in the start-up pitches. Do you want to know how he did? Watch picture and the video underneath. 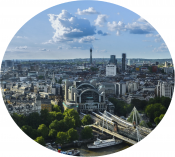 Insights from EMEA Summit, Global Mobility – what’s new? How to disrupt Global Mobility using technology? That was only one of the many interesting topic discussed at FEM EMEA – the biggest European Summit about best practices and hot topics in Mobility. 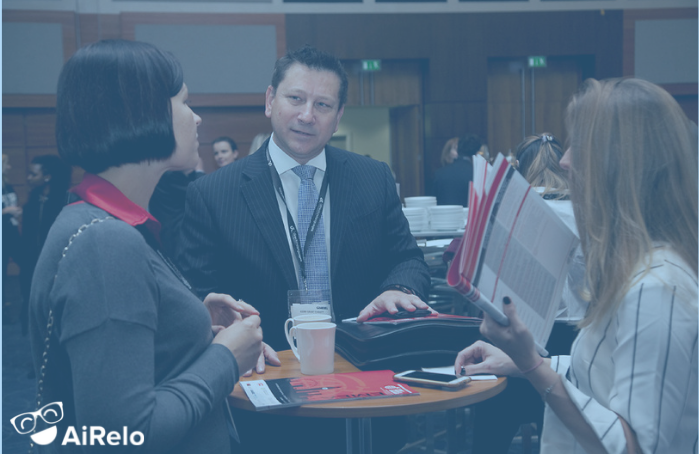 During the 2-days event, held on November 8 and 9 at Intercontinental 02 in London, Priscila Terenzi had the opportunity to meet her former HR colleagues from different industries and to hear the latest news on Global Mobility, learn more about Brexit, get inspired by successful cases and to get updates of new trends on Mobility, specially how technology is changing the way companies relocate employees. Organized by Forum for Expatriate Management (FEM), a worldwide community for GM professionals, this edition was celebrating 10 years, a very special milestone indeed! For those who don’t know, AiRelo was shortlisted for “Most Innovative use of Technology in Global Mobility – Assignee Management”, and although we didn’t win the award in the end, it was really important for GLOBALS to be part of the leading Mobility event of the year! Interesting fact: Berlin is supposedly the international capital of Germany, so why is it that there aren’t many (almost none) Mobility events here? Perhaps it’s because the city is on early stage in the relocation process? Not many HR people talking about it? There are many answers to that question. But one fact is certain: Berlin needs to catch up the fast-growing scene of Mobility new processes, or is it the other way around? It would be great to learn the best practices, share knowledge and network for professionals and companies interested in the theme. 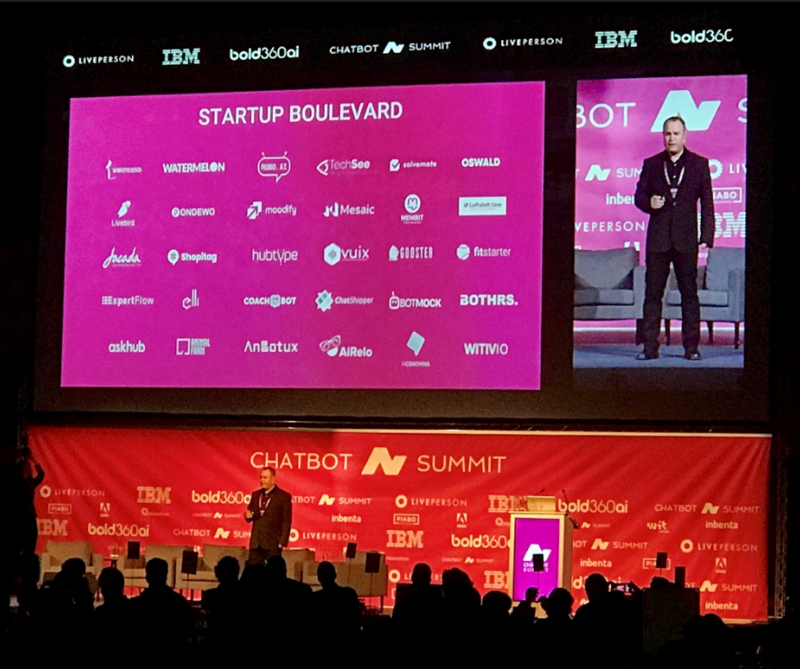 Chatbot Summit is the world’s leading international event series, connecting the eminent professionals and organizations who believe natural language will be the next curve in digital experiences. 3 successful international conferences were held in Berlin and Tel Aviv. The conferences bring the world’s most influential brands, global technology leaders, and fast-growing startups together. They are partnering to build the best in class natural language experiences and take them to market. ​Their event on October 23-24 at the Estrel Berlin was amazing. Mario Paladini Founder & CEO, AiRelo (Globals ) joined the Startup Competition Moderator. He pitched AiRelo to investors in front of Chatbot Summit attendees! We were honored to introduce AiRelo- Smart City registration here to nearly 1,500 attendees and afcourse to were a part of this event. Thank you everyone who stopped by and we are looking forward to next years edition! Here are some pictures, check them out maybe you’ll find yourself in them!